Sleeps 2, More headroom than the lowball for your early morning stretch. Grill up a feast then clean-up is sorted with a sink on the inside. Plan an Australian road trip with your mates in the Highball and book today. Drivers Cab operates only when the engine is running. A portable fan can be rented for the living area which only operates on 240V when plugged in at campground. Storage : Wardrobe and storage space under benches. 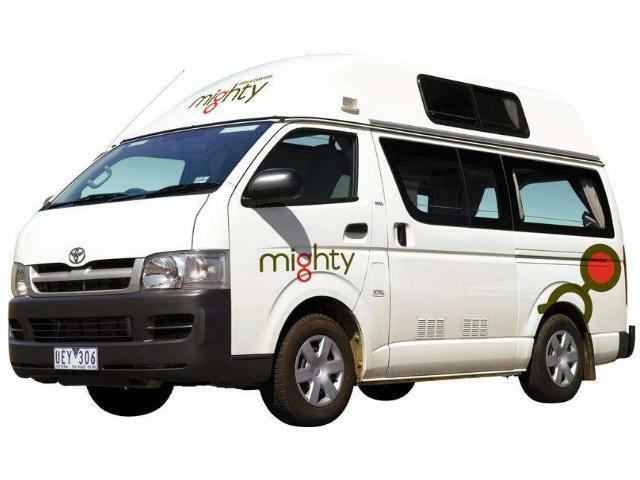 Campervans specifications may vary but will be suitable for the required number of persons and have similar specifications to those listed. 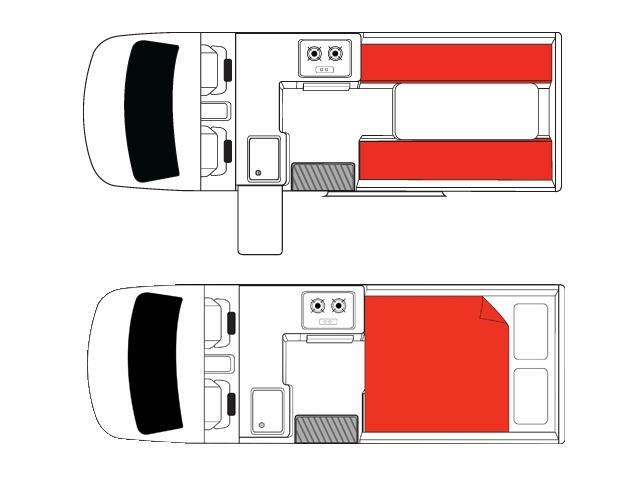 Specific campervan layouts, models/makes and transmission types can't be requested.